Kitaro’s second album, after the success of Astral Voyage (1978), an auspicious debut for one of new age music’s undisputed masters, is a continuation of his experimentation with highly melodic synthesizer music that characterized his late ‘70s and early ‘80s work. 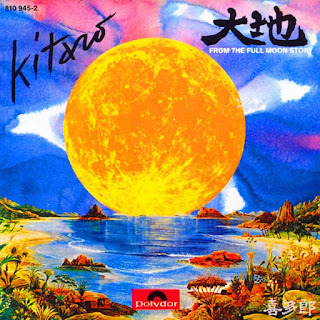 Full Moon Story is an album of warm an rich electronic sounds, accompanied by an array of organic instruments like drums and the sitar, all performed by Kitaro. Together with Astral Voyage, Oasis (1979), and his score to Queen Millennia (1981), Full Moon Story can be regarded as part of his ‘space music’ oeuvre, which he would ground with earthlier, historical images via his famous collaboration with NHK to produce music for the ‘Silk Road’ series. 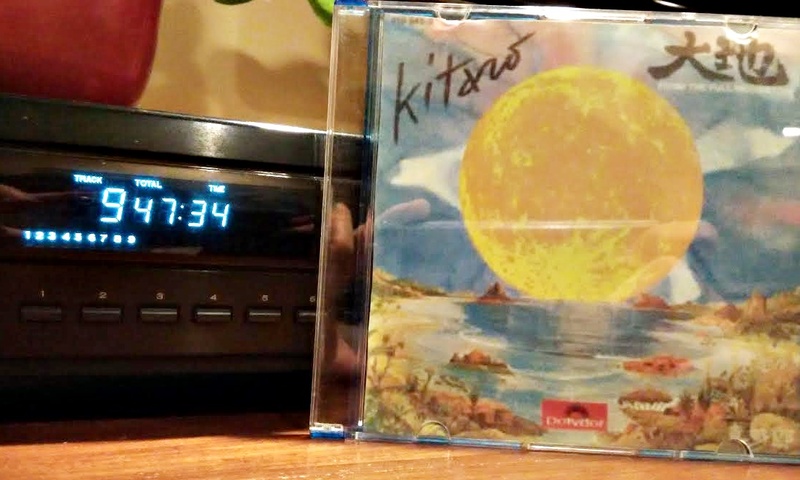 In one continuous stream of music from one track to the next, Kitaro has created a travelogue soundscape that is both unique and transcendent. Some of my favourite tracks are highlighted below, but a notable track is ‘Hikari No Mai’—its arrangement with drums and melody would later form the structural basis of such brilliant pieces as ‘Eternal Spring’ in Silk Road Vol. 2 (1980) and ‘Lord of the Sand’ in Dunhuang (1981). Another track of note is ‘Fuji’, giving us beautiful, spectral images of Mount Fuji in a foggy night, and its beautiful transition into ‘Full Moon’ as the wind blows the fog away. ‘Aurora’ – One of Kitaro’s most pleasurable tracks from his early years, with basic chord changes, light acoustic guitar accompaniment, and a sweet melody on the synthesizer that is a precursor to some of his more famous tracks in his later ‘Silk Road’ albums in the ‘80s. ‘Full Moon’ – A very beautiful, meditative piece that, as its title says, gives us a musical evocation of what it is like to behold and contemplate the full moon, and its perfect, heavenly reflection on the still water. The use of the synthesized pitch bend, a trademark of Kitaro’s music till today, is perhaps used extensively for the first time as a lower pitch accompaniment, producing the 'mirroring' effect of the full moon over water. ‘Resurrection’ – An excellent piece with space-like sounds in the beginning. When the main rhythm kicks in, together with the synthesized melody (and yes, that low pitch-bend thing), it does feel like a resurrection of souls as they are freed from their earthly bodies, and projected into a never-ending space.